This one? This post right here? It’s nothing but spoilers. You have no chance to avoid being spoiled if you read beyond this paragraph. I am not kidding. This isn’t a joke or a playful bit of banter. The following post looks at the 96 preview pages for Before the Storm that were posted on Amazon. Considering the book is only 304 pages, that’s a lot — plus, the preview includes the final chapter and the epilogue. This is a post that exists to spoil you. If you read it, you will know details from the upcoming novel that serves as a lead-in to Battle for Azeroth. You have been thoroughly warned, guys. The beginning of the book is familiar if you’ve seen the cinematics from the end of the Silithus quest chain. (If you haven’t, they’re a good place to start: here’s the Alliance cinematic and the Horde cinematic.) We start in aftermath of the war against the Legion. Mathias Shaw tells Anduin that Goblins are mining Azerite in Silithus, while Gallywix tells Sylvanas the same. We discover that Sylvanas’ desperation over the fate of the Forsaken has led her to conclude that she must attack Stormwind and kill every human in it — in order to raise them as Forsaken. But the Azerite itself ends up complicating matters. 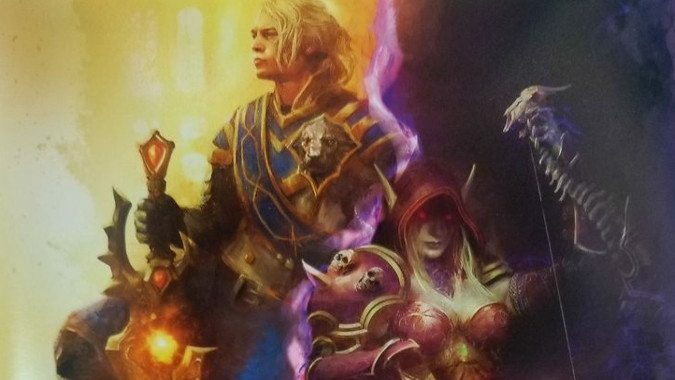 Since all we have are just portions of chapters, we miss a lot of detail and nuance, but it’s apparent that while dealing with the potential power of Azerite, Anduin and Sylvanas are brought together by members of the Netherlight Temple (including Velen, Alonsus Faol, and, somewhat secretly, Calia Menethil). Meanwhile, the Desolate Council — a group of Forsaken mentioned in earlier previews as the governing council for the Forsaken while Sylvanas is engaged in being Warchief — are interested in renewing contact with their former loved ones who are currently residing in Stormwind. It’s no surprise that bringing the Humans and the Forsaken together leads to conflict. The neutral meeting between Forsaken and their Human loved ones leads to tragedy. Many members of the Desolate Council attempt to defect to the Alliance, and Sylvanas orders their deaths. Many innocent Forsaken are caught in the crossfire, but Sylvanas doesn’t break the meeting’s temporary truce by harming a single living Human — save one. When Calia Menethil reveals herself, Sylvanas kills her personally, suspecting she intended to reclaim the throne of Lordaeron, although that wasn’t Calia’s intention. The bloodbath puts Sylvanas’ plans for Stormwind on hold, but she’s more determined to grab all the Azerite she can. But that’s not the end of Calia Menethil. 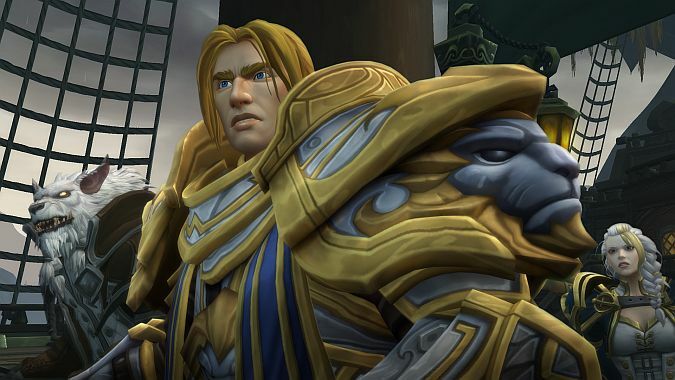 Anduin and Alonsus Faol work together raise her into an entirely new kind of undead — one who seems wholly powered not by necromancy or shadowy magics, but by the Light itself. Before her death, Calia had felt obligated to try and understand the Forsaken, to help them in order to make up for what her brother had done to them, and now she feels she is at last ready to serve them and eventually, to lead them. I am frankly stunned reading this preview. So much happens here. The best part is that Calia had the most noble of intentions, but simply by coming to the gathering between the Forsaken and their loved ones, she creates a perfect storm that ends in her own death and ‘rebirth’ as a free-willed undead creature. 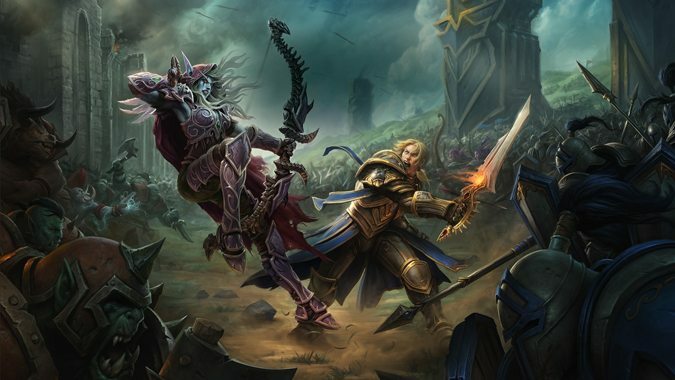 Sylvanas is now convinced that betrayal lurks in every corner, while Anduin, after watching Sylvanas kill her own people, is convinced there’s no negotiating with the Banshee Queen. While he loves peace, he’s now resigned himself to war. It actually makes sense that they’d fight, now. But for my money the most amazing moment was seeing Genn Greymane admit that not all Forsaken are monsters. That he saw, with his own eyes, members of the Forsaken greet their loved ones and manage to come together again. It surprised him even more to see a long separated man and woman who couldn’t bridge that gap, but still managed to part without hate or treachery. Genn still hates Sylvanas, but he isn’t willing to let that hate poison his view of an entire people. And Sylvanas, for her part, acts in an incredibly rational way. Even when she kills Calia Menethil, she does so because the woman is a threat to her rule — Sylvanas isn’t being cartoonishly evil, but instead following her own internal logic. There’s a lot of depth and subtlety to what we see of Sylvanas in these pages. This is a story I’m looking forward to seeing in full. If this preview is any indication, this is going to be an incredible book. I’ve left a lot out because there’s just so much here, I can’t wait for this.